How Rohingya refugees in Bangladesh continue to risk their lives in search of a better life elsewhere. Kutupalong camp, Cox’s Bazaar, Bangladesh, 2017. All images by Kaamil Ahmed. The key was in finding the tea hut – a low-roofed bamboo frame filled only by a bench, where, in May 2015, I was with a group of Rohingya men, each gripping slips of paper with phone numbers of the human traffickers holding their sons. 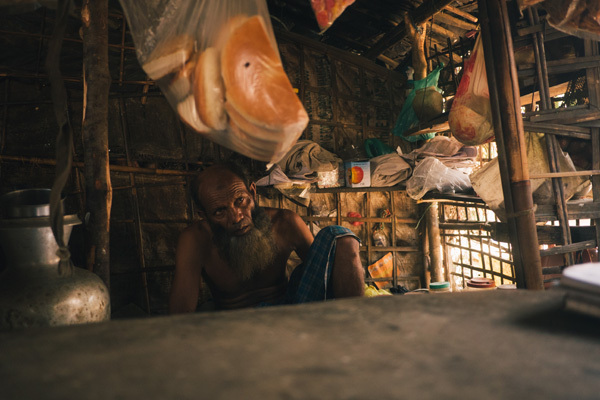 Over several visits to Bangladesh’s now-sprawling camps for Rohingya refugees, I had been looking for the tea shop, to find out what had happened to those families in the two years that had passed. 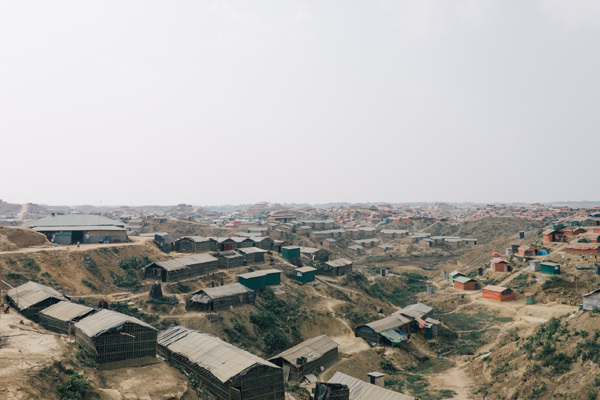 The problem was that the Kutupalong refugee camp in the town of Cox’s Bazar, on Bangladesh’s southeastern tip, had since become the world’s largest – sheltering more than 626,000 refugees. The Kutupalong camp in Bangladesh has swollen to house more than 500,000 refugees since August 2017, after Myanmar’s armed forces started attacking Rohingya settlements in western Myanmar’s Rakhine State. Since 25 August 2017, when Myanmar’s armed forces started attacking Rohingya settlements in western Myanmar’s Rakhine State, more than 700,000 Rohingya have sought refuge in Bangladesh in a rapid and almost complete transfer of the minority Muslim ethnicity – something that the United Nations has described as ethnic cleansing. 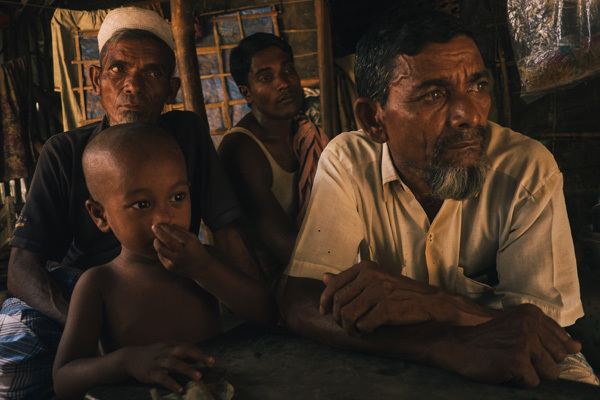 Rohingya refugees had been living in Bangladesh in neglected, even lawless, makeshift settlements like Kutupalong for decades, settling and sometimes returning only to flee again in repeated waves since 1978. But that was transformed a year ago by Myanmar’s military operation that killed an estimated 6700 Rohingya. 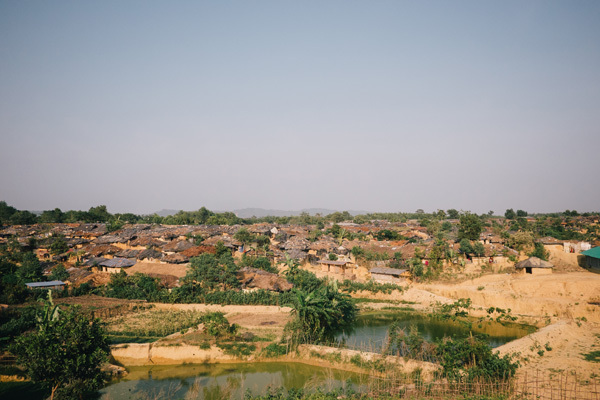 The congested collection of mud-walled, plastic-roofed homes that made up Kutupalong’s makeshift camp in 2015. How many lived in Bangladesh was always hard to tell because the country stopped registering refugees in the 1990s. But we now know that more than a million Rohingya people have been registered biometrically by the Bangladesh government. And if you look at the area from the sky, as seen in satellite images, you will see forests swallowed by a brown mass, pockmarked with the black, blue and orange of the tarpaulin sheets under which the Rohingya now sleep. It would take repeated trips down the road next to the camps – along the border with Myanmar – to recognise the pathway leading to the tea hut where I had first heard, in 2015, how young Rohingya were vanishing from the camps. The owner of the tea shop in the Kutupalong camp sits as his neighbours talk about the journeys their sons took to Malaysia by boat. 2015. 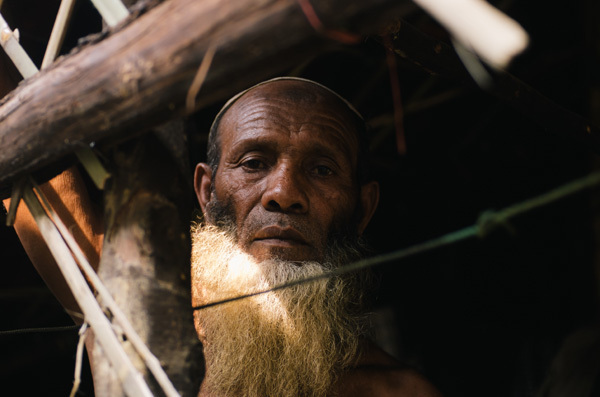 Thousands of Rohingya men had left the camps since then. Some had gone wilfully in search of job opportunities, hoping to make it across the Thailand-Malaysia border through arrangements with brokers in Bangladesh. Others had been kidnapped on their way by Thai traffickers trying to fill boats headed to the jungles on southern Thailand’s porous border with Malaysia. There, the traffickers would hold them in conditions that killed many. Family members, who got in touch over the phone, would have to pay ransoms to have them released, even when local brokers had already been paid for the journey by the willingly trafficked in the first place. It was with these ransoms that the traffickers made the real money. Only then would the Rohingyas be taken through the jungles of southern Thailand to Malaysia, a country where they hoped they could live with a freedom deprived to them in Myanmar and even the camps of Bangladesh. The tea shop owner again, in 2018, after I finally found his shop amid a completely transformed camp landscape. Back in 2015, families of many trafficked individuals were still unsure what would happen to their loved ones. Some had paid the ransom and were awaiting news. Others were trying to scrape together the money in a land where, as unrecognised refugees, they were not formally allowed to work. It was by using portraits I took in 2015 that I found some of those men and a group of women whose husbands had also travelled to Malaysia. 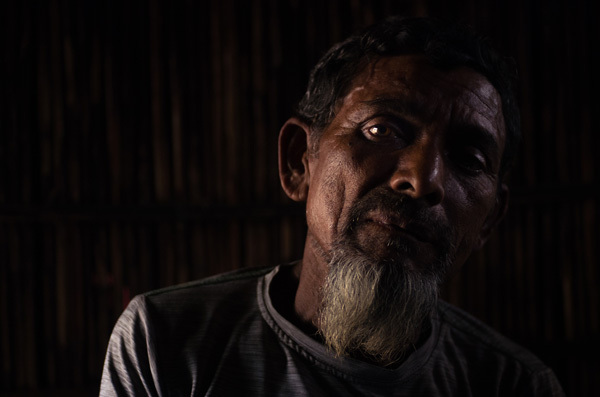 I first met Sulaiman at the height of the boat crisis, in May 2015, that was sparked by this journey made by Rohingya from Myanmar and Bangladesh to the Thai jungles. In those camps, where the traffickers held their victims for ransom, the Thai officials had found mass graves. As a result, the Thai government began cracking down on the smugglers, who started abandoning the refugees at sea, while neighbouring countries like Malaysia and Indonesia refused entry to the stranded thousands. In early 2015 Sulaiman’s son had got on a boat headed to Malaysia for new opportunities. There had not been any news since. Sulaiman’s son had left only weeks earlier. Work was scarce and movement for the Rohingya in Bangladesh was difficult; they decided Malaysia was his only chance to earn some money. Since then, Sulaiman has had to live through an unusual form of mourning. Not only has not seeing his son’s body made it hard to accept his death, but someone had once told him his son was still alive. In 2018, Sulaiman was told his son died during the journey. A man had once approached him on the road with the news, but Sulaiman decided not to follow up. He suspected the man was using his grief to extort money from him by igniting the hope of finding his son. Following the influx of refugees in August 2017, the camps have since been reorganised. Many have reunited with families and friends they had not seen in several years. But some have moved away from the camp since I was last here. Murjina Begum was one of them. Around 30 years old, she had spent much of her life growing up as a refugee in Bangladesh. In May 2015, she had spoken to her husband, who had been kidnapped and was being held by the traffickers in Thailand. She had even listened as they tortured him while on the phone with her, demanding a ransom. But she did not know how to get the money. 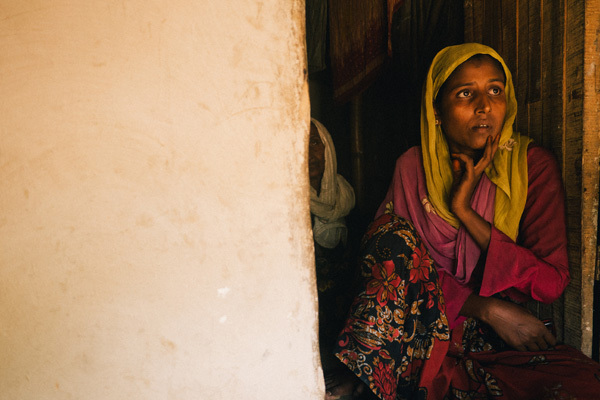 Murjina Begum in 2015, when she was waiting on news of her husband after traffickers demanded a ransom to release him from a trafficking camp in the jungles of southern Thailand. Finding her would take several days. Though she had not moved far, the population shifts in Kutupalong had been so drastic that, even in a settlement where tents jostle for space, many could not remember who had passed through and at which point. Eventually, as with Sulaiman, walking around the camp showing portraits of Murjina proved fruitful. 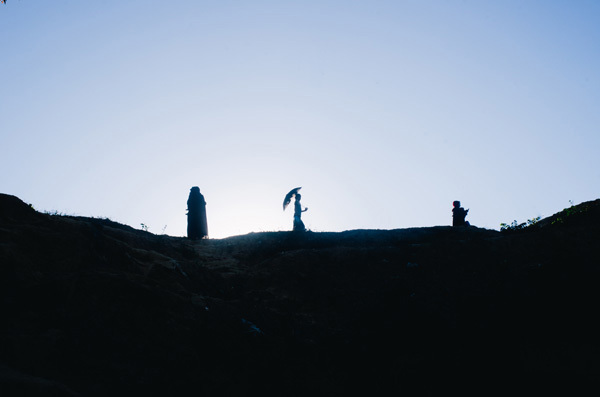 Rohingya women walk along a hilltop connecting two parts of Kutupalong camp. 2018. After being led, on several occasions, to women others thought looked like Murjina, we finally found her setting up a new home. When I showed her the picture on my phone, she was surprisingly unable to recognise herself. But the name and story all lined up. Sitting atop a pile of dirt she had excavated to create a new mud floor for her new shelter, Murjina explained how she had finally secured the funds to pay for her husband’s release. “It was really difficult – I wasn’t able to eat. We had to struggle to raise the money. I had to borrow from people around here – on interest. Whatever was borrowed, I paid back double,” Murjina said. She had been told to pay BDT 50,000 (USD 600) to a local broker, but had been later told – after she had made the payment – that he was dead anyway. That turned not to be true. After three months of mourning, her husband phoned her from Malaysia, where he has been working and sending back money from to service debts accumulated from having paid off traffickers. Murjina in 2018, in a new home she is rebuilding with other Rohingya women whose husbands have left Bangladesh for Malaysia. She managed to borrow the money for her husband’s ransom and is still paying back the debt. 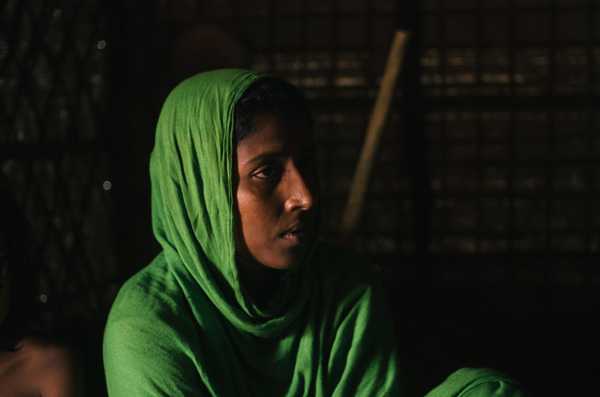 Murjina continues to live with a group of other young Rohingya women whose husbands left for Malaysia, some of them on the same boat as her husband. 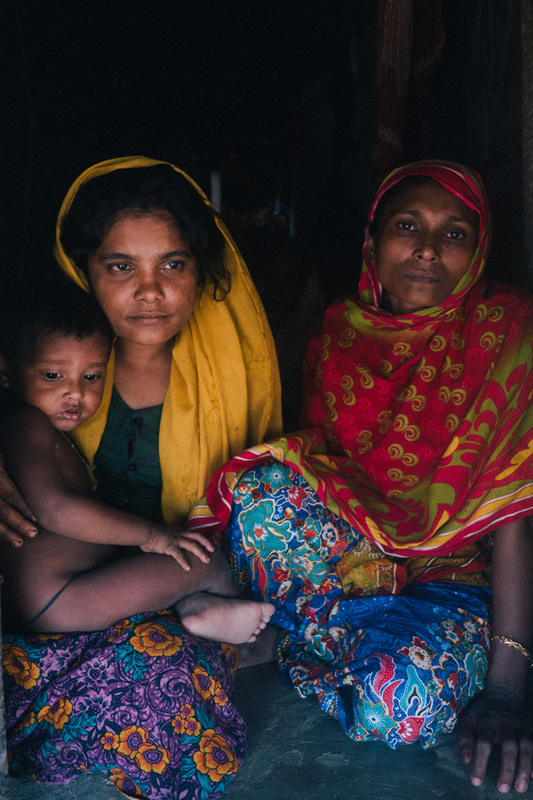 Of the new arrivals to Bangladesh over the past year, there has been much talk about the 16 percent who were single mothers, especially vulnerable after losing husbands to the violence and resettling in a new country with children they have to protect and provide for. Murjina was not one of them. Yet, the shelters that dot the hills of southwestern Bangladesh have, for years, been inhabited by families led by women, some with husbands abroad and others who have lost their husbands in previous violence and crossed into Bangladesh alone. The intensity and scale of events of the past year has led some to talk about the Rohingya presence in Bangladesh as something new. But the reminders that it is anything but new, and loaded with danger and exploitation, are always there – in the tight, forgotten alleyways of the old camp. ~Kaamil Ahmed is a foreign correspondent who has reported on conflicts, refugees, labour and the environment in Southasia and West Asia. Michael Caster on statelessness and Rohingya rights. A comprehensive historical and contemporary account of the Rohingya crisis by Salil Tripathi. Special package on the history, politics and economy of Myanmar. ~ Watch our explainer on why the Rohingya remain the largest group of stateless people in the world.